Place all the smoothie ingredients in a blender and blitz until well combined. You can add a little extra Duo if the mixture seems too thick. Divide the smoothie into 3 bowls and place on the table with your chosen toppings. 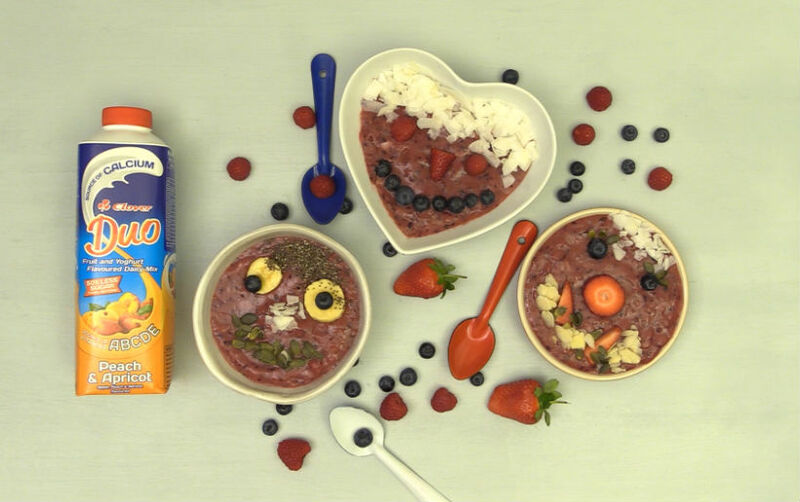 Let the kids loose to decorate and eat their DIY Smoothie Bowls!